It was a normal morning on Breakfast this week when all of sudden our Conservation Minister dropped the worst possible word on live television at 6.51am. 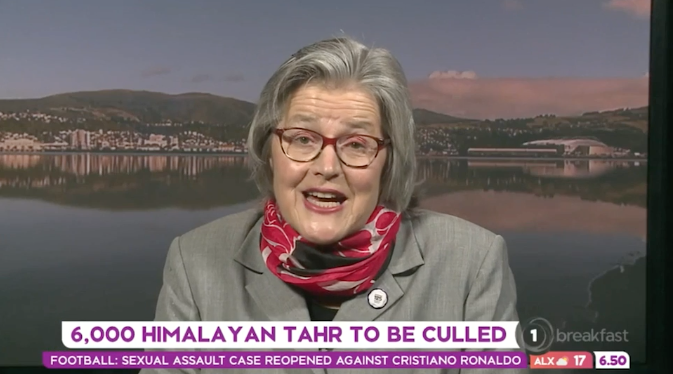 The sweet and unassuming Eugenie Sage, dressed in her red neck scarf and matching crimson spectacles, dropped the ‘C bomb’ whilst describing how 6,000 Himalayan tahr need to be culled from NZ’s high country. “Our alpine plants are really distinctive, they are only found here in Aotearoa, nowhere else in the world and tahr are browsers, so they are having quite a major problem,” explained Sage. Eugenie carried on like a true professional and didn’t even blink an eyelid, while host Daniel Faitaua ended the interview with a straight face like the pro he is. I think Eugenie Sage has just told us what she really thinks of hunters, and what she uses to describe us behind closed doors. This shows that she will not be dealing with hunting proposals in an even handed manner as she should as minister.